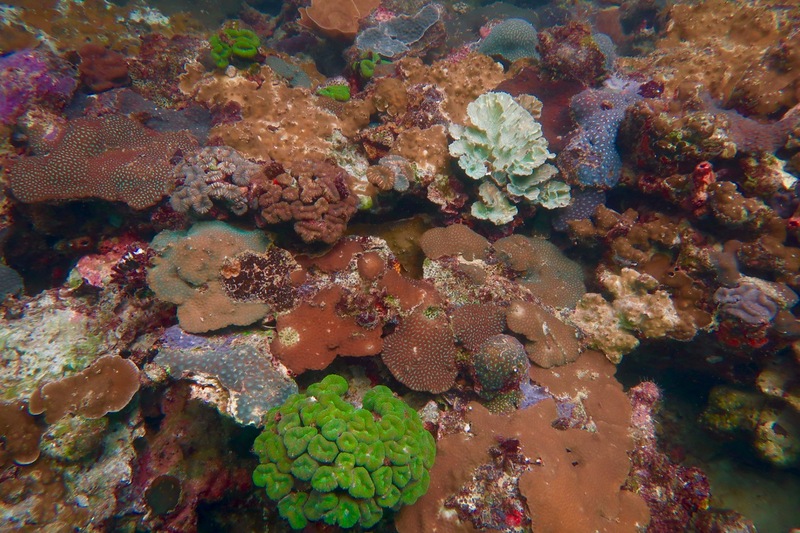 The oddly-shaped domed islands of Palau, a sovereign island nation of Micronesia, are living fossils ~ the uplifted remains of ancient coral beds that rise above sea level to become habitat, ark and home to a vast array of creatures and people, including some of the most beautiful humans I have ever met. Palau is part of Micronesia in the western Pacific Ocean, east of Philippines and northeast of Indonesia, a 340 island strand highlighted by the spectacular cluster known as the Rock Islands, a UNESCO World Heritage Site. 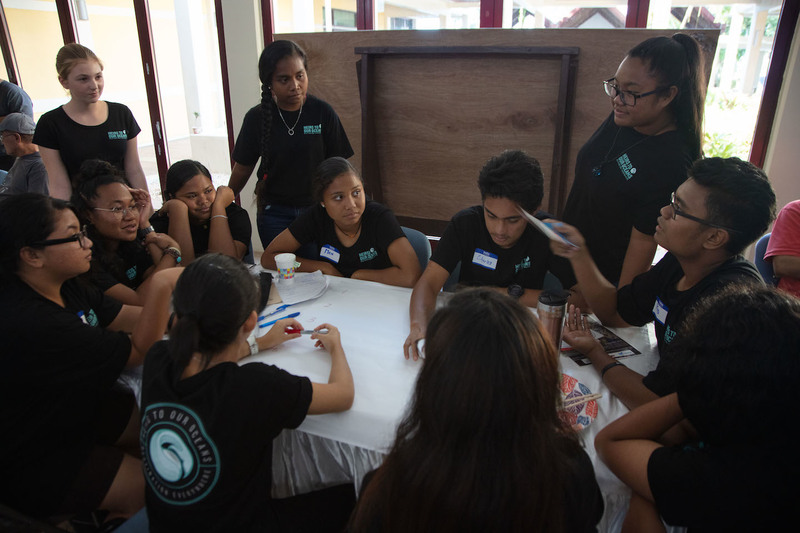 It was here in the State of Koror that Oceanic Society, Mission Blue, Plastic Pollution Coalition, Heirs to Our Oceans and Drifters Project collaboratively staged a 10-day expedition and forum focused on plastic pollution. 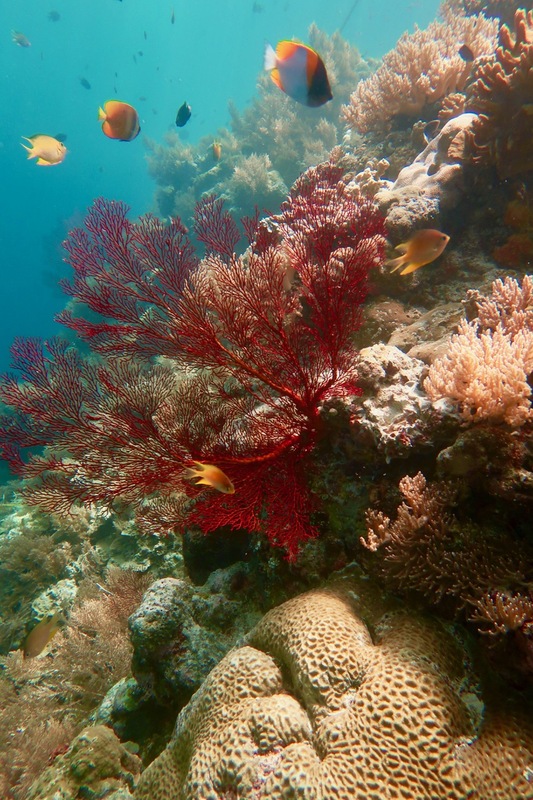 The health of its underwater environment is visible in stunning abundance and biodiversity, and it feels even more heart-achingly beautiful in the knowledge that much of the ocean world once was like this. 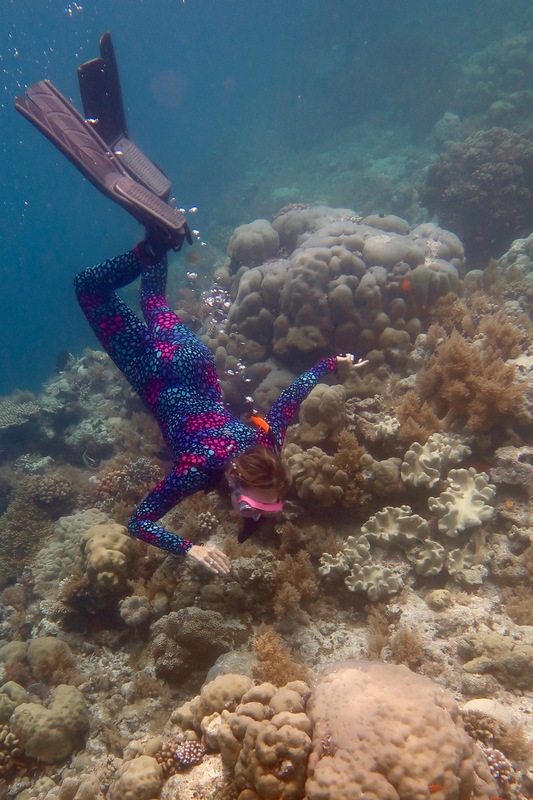 The fossil coral Rock Islands are a dry-land mirror of the underwater coral gardens. Often they are rimmed by caves of extraordinary beauty. 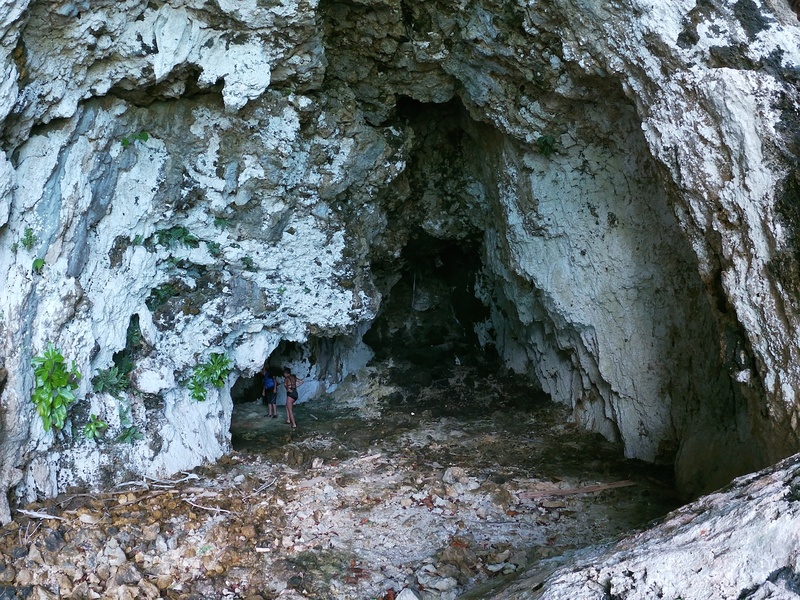 Triton Cave, a large double-entrance cave pierced a spectacular tunnel through one island. Exploring the colors, textures and undulating forms in radiating rainbow hues was like getting a fish-eye view inside of a giant coral matrix. Our daily free dives revealed something else remarkable: the near absence of ocean plastic in the water. Compared to the density we witnessed on the 2016 Bali-to-Komodo expedition, it was almost shocking to encounter so little. Our beach landings told a different story: much of the initially invisible plastic was deeply embedded in mangrove roots and jungle edges, overgrown and being incorporated into the landscape. 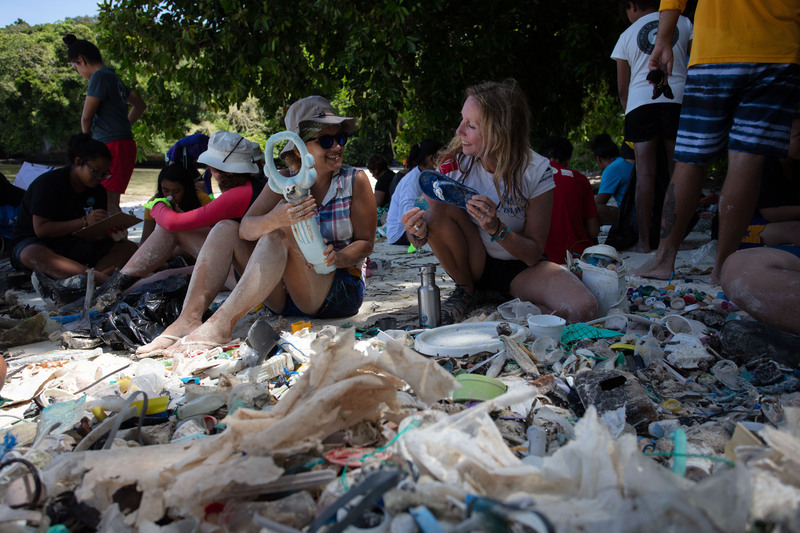 Heirs to Our Oceans organized a multi-org cleanup of remote island Ngerbloblong where over 50 participants on 3 boats convened to participate in plastic remediation. 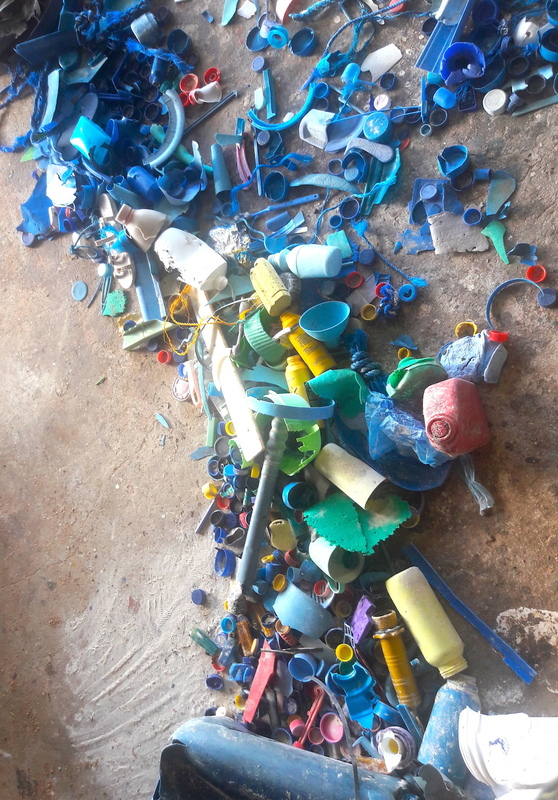 As Oceanic Society’s Artist in Nature, I led a forensic beach cleaning training session with everyone and groups splintered along the beach, searching for prophetic messages from the ocean presented symbolically in the plastic objects and removing as much material as possible. Giant buried ropes and gill nets were uncovered and unraveled. Oddities such as a tiny hand making a peace sign, asthma inhalers, a bodiless chicken head, and multiple toy jets and aircraft transmitted messages to the individuals who found them. From the dozens of bags filled, the Heirs conducted a brand audit: all plastics were identified by category and any with readable brand names were counted and recorded. The unsurprising winner was Danone water bottles (a local version of Dasani by Coca-Cola). As we combed through the thousands of plastic pieces, we sorted out blues, reds, yellows and blacks for the creation of the flag of Koror. We were offered a wonderful temporary studio in the Public Works department’s open-air woodshop. 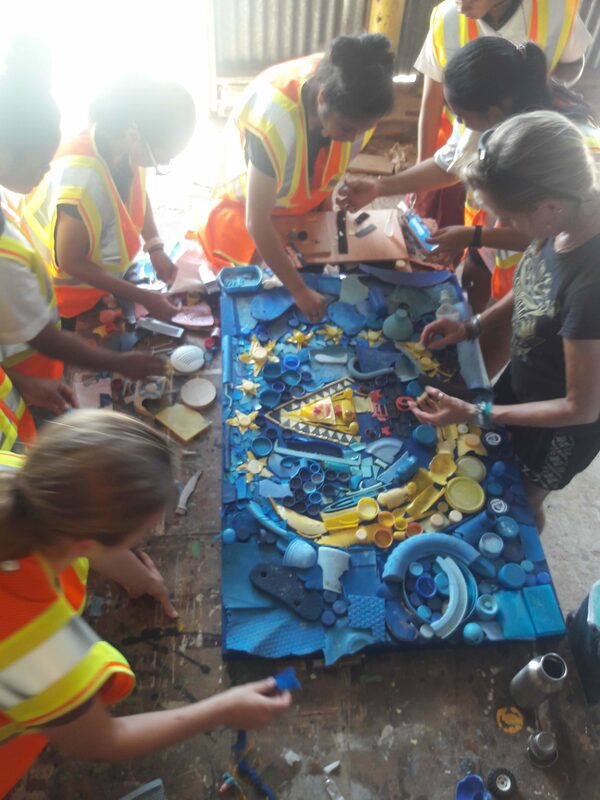 For the next three days, in hundred degree heat, Dianna Cohen of Plastic Pollution Coalition and I worked with over 30 collaborators, washing, sorting and composing the plastic pollution Flag of Koror. The flag itself has imagery of a quarter moon and 5 stars surrounding a representation of the ceremonial ‘bai’ structure. 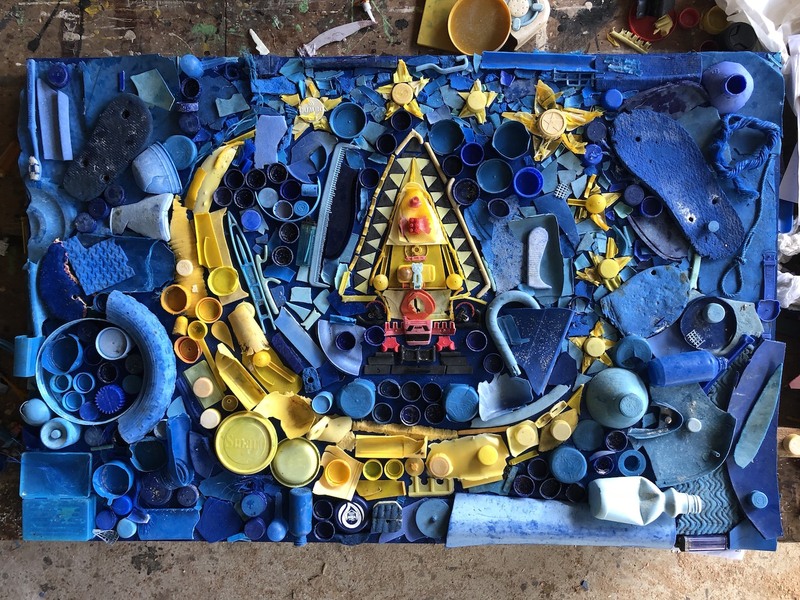 With flip-flops, bottle caps, small toys and endless unidentifiable plastic pieces, arranged with help from dozens of citizens, students, workers and the marine conservation guards of Koror, we collaboratively designed and constructed the flag. The Flag of the State of Koror, reconstructed in ocean plastic cleaned from its beaches and built with the collective energy of dozens of citizens, youth, and guests, represents Palau’s commitment to fighting the plastic invasion of its spectacular environment. It was so well received that there is now a request create the remaining 15 other state flags in plastic. 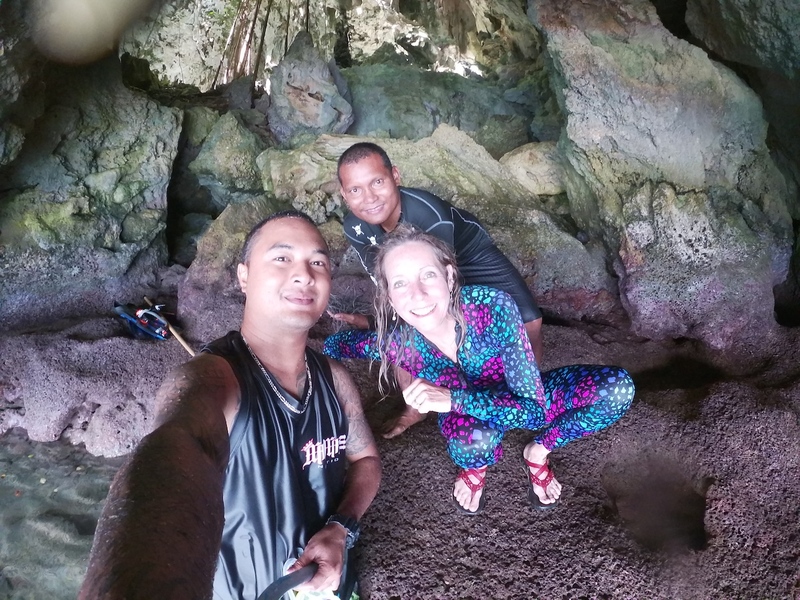 Palau is a rare place, a sovereign nation and their society follows a very strict matrilineal system. The importance of the female ancestor in the societal system seemed to me in part responsible for an observed calming assertiveness and sense of communal wellbeing to all of our interactions. The society has made an enormous commitment to its future wellbeing in the conservation efforts it is undertaking. Putting the future health of the marine world at the top of their priority will ensure Palau’s specialness for many generations. And these future generations appear to be in good hands after seeing the efforts of this group of young people in action. 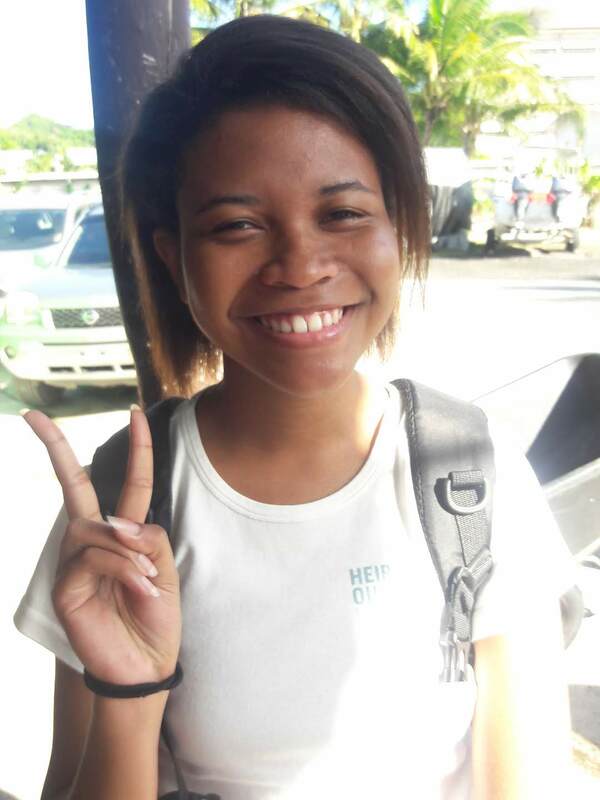 Outspoken and confident Aliyah Tadao seems destined to be a future leader, perhaps mayor, governor or even president. 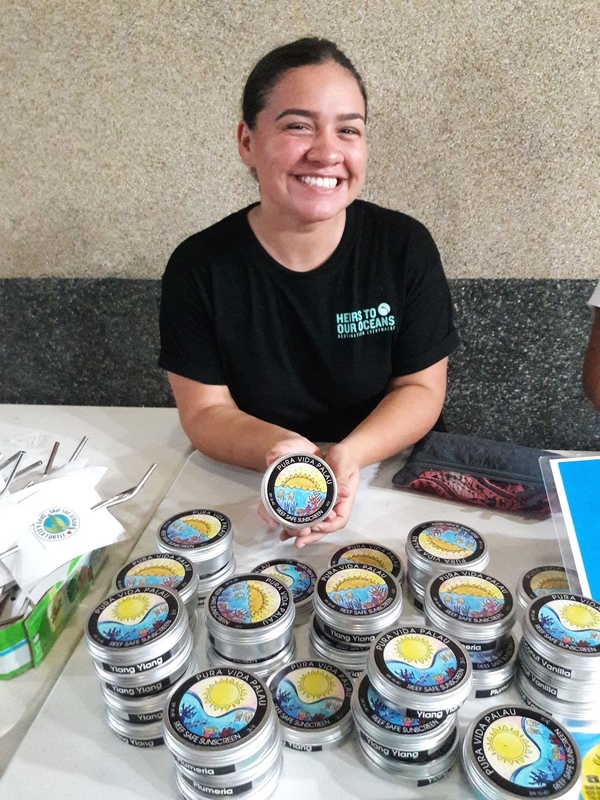 The entrepreneurial Miel Holmes has invented a reef-safe sunscreen, the best I have ever used, with fragrances like ylang ylang, gardenia and coconut vanilla that are packaged in designed beautiful tins, and they are selling like hotcakes. Island Flowers, with the best name of all times, had a quiet and serene strength radiating from her. Adora was filled with pride and gratitude to sit and learn the skills of traditional sail making with women weavers who keep it alive at Rock Island Kayak Explorers. Carlos, Laden, Sengai and Blaine also seemed destined to be future leaders and ardent conservationists. 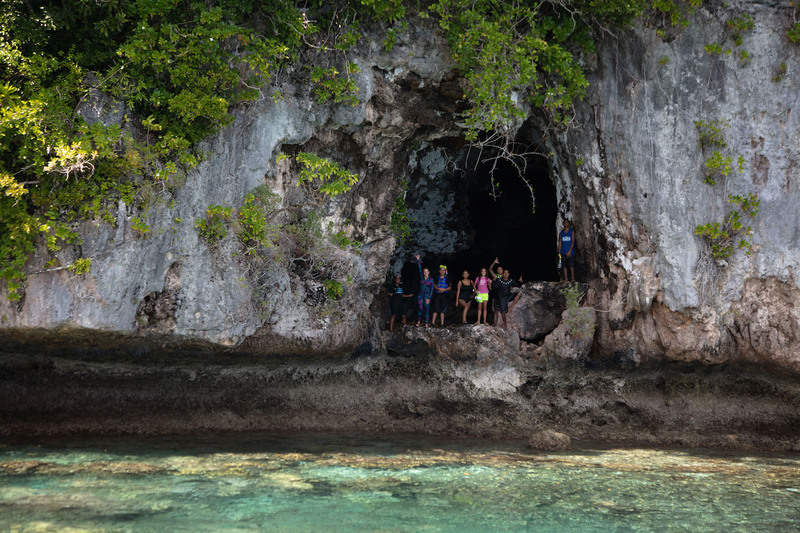 The youth of Palau has become a leading voice in the continued protection of its natural treasures. Heirs to Our Oceans (H2OO) has cultivated informed and articulate young adults who speak truth to governmental leaders and other authority figures. 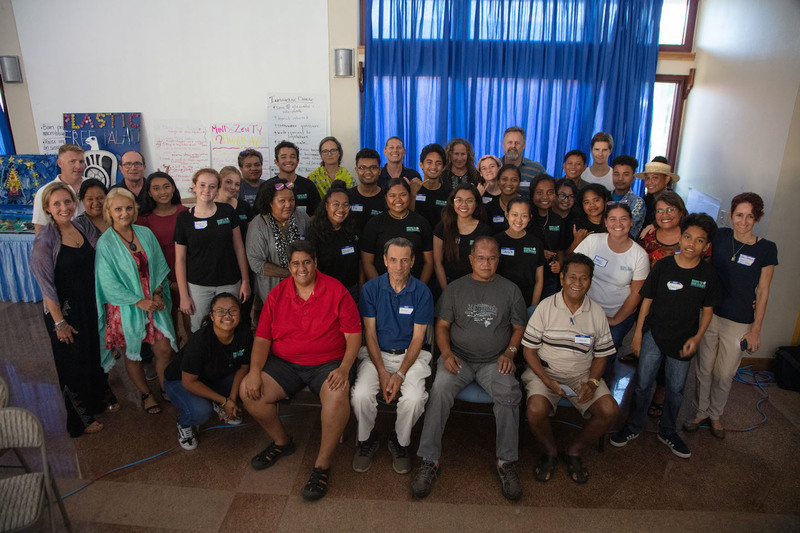 They organized Palau’s first Plastic Pollution Forum, an all day summit around which the expedition was organized, presenting fact-filled lectures on the science and ecology of plastic pollution, with invited guests from international marine conservation non-profit organizations Mission Blue and Oceanic Society, civic and governmental leaders, artists, tribal council chiefs, and the public. 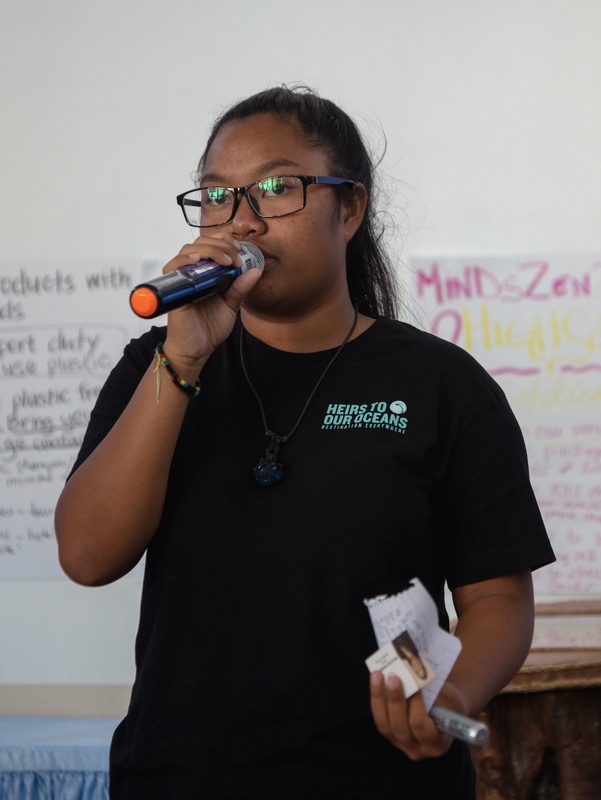 Different high school chapters explained the steps already underway in their respective schools to reduce single-use plastics. The most important part of the workshop were small “break out” group discussions with the Heirs and participants brainstorming actionable goals for the upcoming year, including plans to make their own school cafeterias plastic-free and to create a set of guidelines and criteria for businesses to become “H2OO approved” plastic-free establishments. 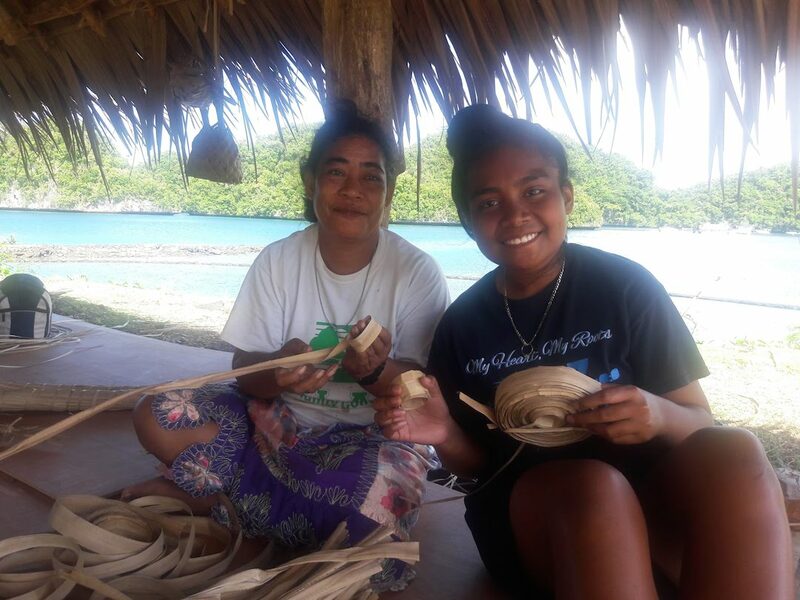 All the ideas generated to be put into action in the upcoming two years will be prominently highlighted on the world stage when Palau hosts the 2020 Our Oceans Conference. 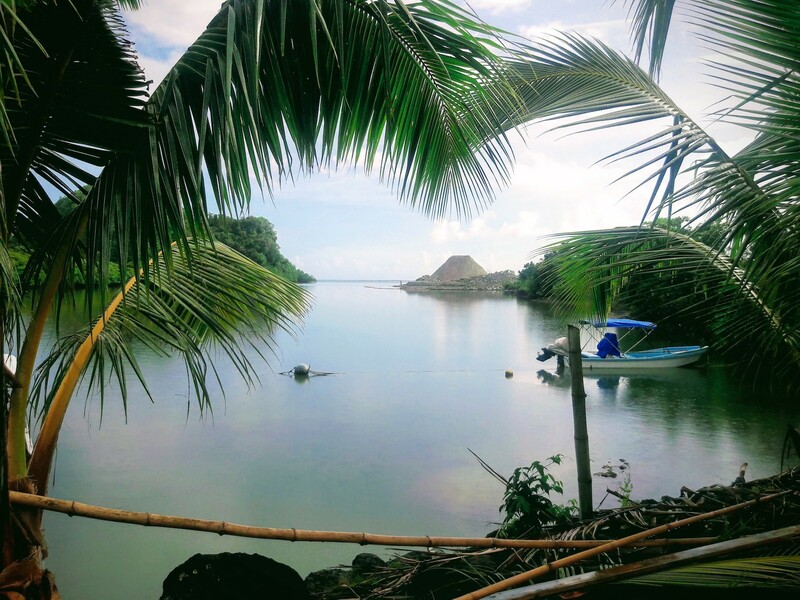 If a small island nation can make the move to become the first real Plastic Free Island, this can be the model for other islands and Island Nations to follow. Palau seems to have the political will to do so, but it is a major undertaking that will take years of concerted effort. 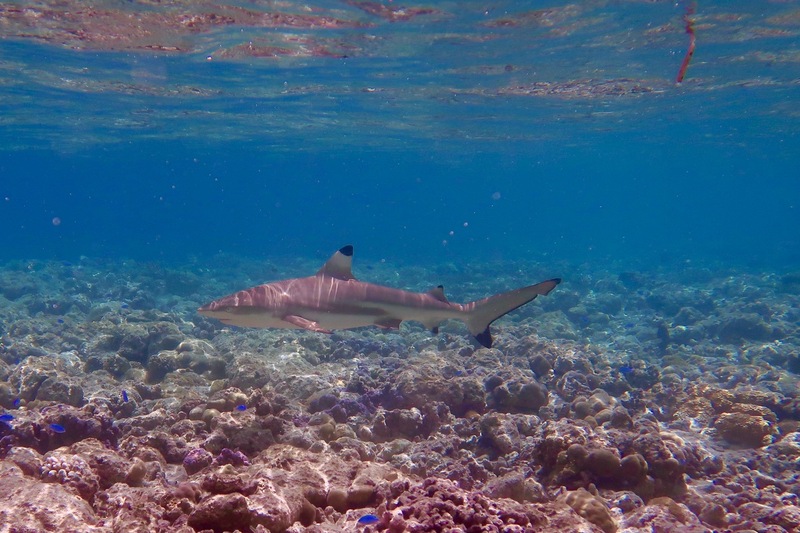 With governmental support, infrastructure and abundant citizen will, a head start with a well protected and fairly pristine underwater environment, and a new generation of leaders poised for action, this aspirational ideal could become a reality. Palau has everything to gain. So do we all.